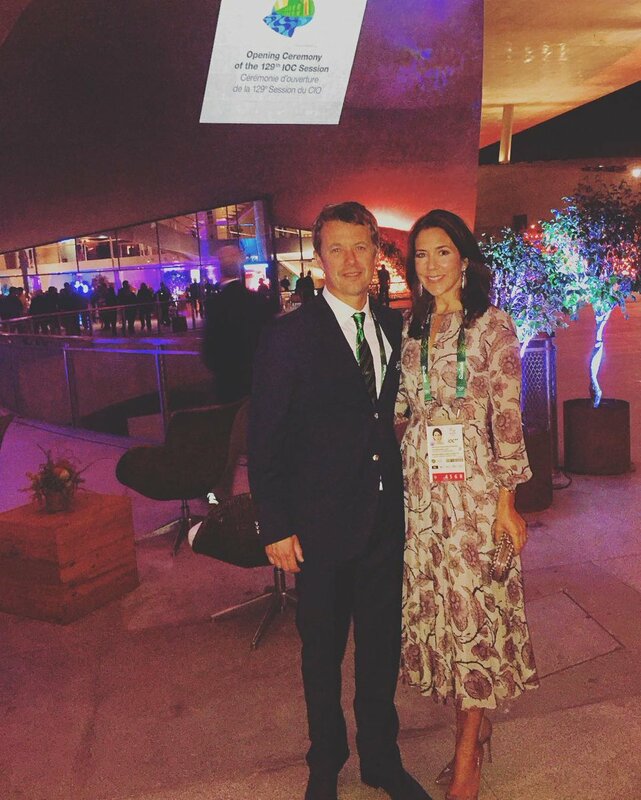 "It was an extraordinarily enthusiastic and eloquent Crown Prince Frederik, who almost enthralled his audience in Brøndbyhallen at the House of Sport, where the Danish Sports Federation Thursday broached the conduct of this year's major congress. - Sport is all about fighting, the best one has learned. Let us fight together, said the Crown Prince as one of the last in his excellent speech, which was a hit among the large audience from Danish sports organizations." "He is a good athlete, and I admire that he is currently preparing for Wasa race and considering a marathon this summer. - He is very active and not just talking about the Olympic spirit. He lives the Olympic spirit, says IOC president. Thomas Bach says that the crown prince participating in debates in the IOC in line with all other members"
As Frederik has told, him and Mary are practicing their speeches together before going to bed. I rechecked the calendar, it does not say that it was due to Frederik being an IOC members but simply that he speaks at the National Athletic association. "I especially remember how frogman training and my work as a frogman changed my world. Here I learned my body's abilities and my mental abilities, "he said. His Royal Highness Crown Prince Frederik was at the lectern with the message that sport can save the world for the individual. Kongehuset.dk has uploaded Frederik's twelve minute long speech at the event last week. A speech he was given great credit for. The first 1:40 minute is in English, the rest is in Danish. Yes, Frederik who has so often been pretty poor when it comes to giving speeches and being in the spotlight, appears to have a genuine YES-day here! Summary of article in Billed Bladet #11, 2015. Written by the one and only Ulrik Ulriksen. 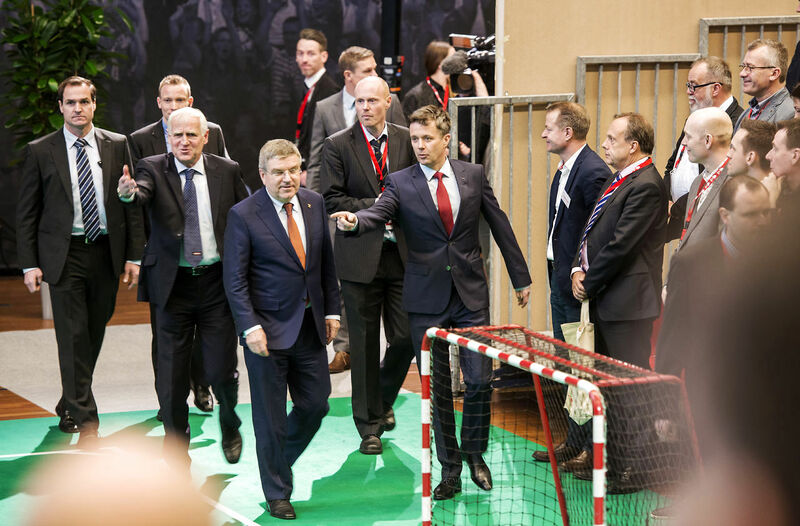 As you know Frederik as member of the IOC attended the Danish Atletics Association congress, along with the German IOC president, Thomas Bach, with whom Frederik had some friendly banter. "I know from personal experience that sport has the ability to change the world for the individual. For example my year as a frogman-student (aspirant) and following three years as active Frogman was something that changed the world for me. The training as aspirant/student may perhaps not be classified as sport in the classical sense, but I will nevertheless claim that it is in many ways comparable to what an individual elite-athlete go through when he or she train for some of the big events. Based on that I got to learn to know myself, the capabilities of my body and my mind. The knowledge and experience I bring with them in my daily life and when I take part sports-competitions - be that triathlon, mountain bike or sailing. But you don't have to out into the extreme to feel change. Sport has changed the world for many and still do so daily all over the world. I meet many people who through sport has gotten a better life. From the war veteran who finds a new meaning with life to the salesman who want's life a healthier life, to the retiree who finds a new social life. When I stood up a a candidate for IOC it was because I knew how big a strength sport has. It can give up some fantastic experiences both as spectators and as active performers. It unite us across the boundaries of religion, ethnicity and social background and that can very much influence our lives in a positive way. The most important thing in sport is not to win but to take part. The essential thing in life is not conqueror but to fight to the best of your abilities. Let us all fight to the best of our abilities". The speech was very well received and the chairman of Danish Athletics Association, Niels Nygaard, told BB later: "It was a dedicated and good speech. Both in regards to the Olympic (stuff) and sports in Denmark. I spoke with Crown Princess Mary at the launching of a swimming project a couple of days later and told (her) how well the Crown Prince had performed. The Crown Princess was both pleased and proud about that". Frederik has previously told in an interview to the magazine Euroman what it meant to him to become a Frogman: "The education became a turning point for me. That meant that I could finally compare myself with others, because I knew I hadn't been given anything (for free). I would like to be remembered as someone who makes a difference when I meet people". Watched the video and I immediately thought of MidwestMom looking at Frederik's hair. He's still not a great speaker in the sense that he speaks like most Danes speak on the street i.e. not very clear, but he is confident, he is on home ground and he speaks from the heart. Perhaps he's had some training (and been listening)? If so, GOOD! Excellent speech, some people, no matter how much help, will never be great speakers but you can tell this came from the heart . Today 23th March CP Frederik has participated in IOC Olympic Programme Commission meeting in Lausanne, Switzerland. 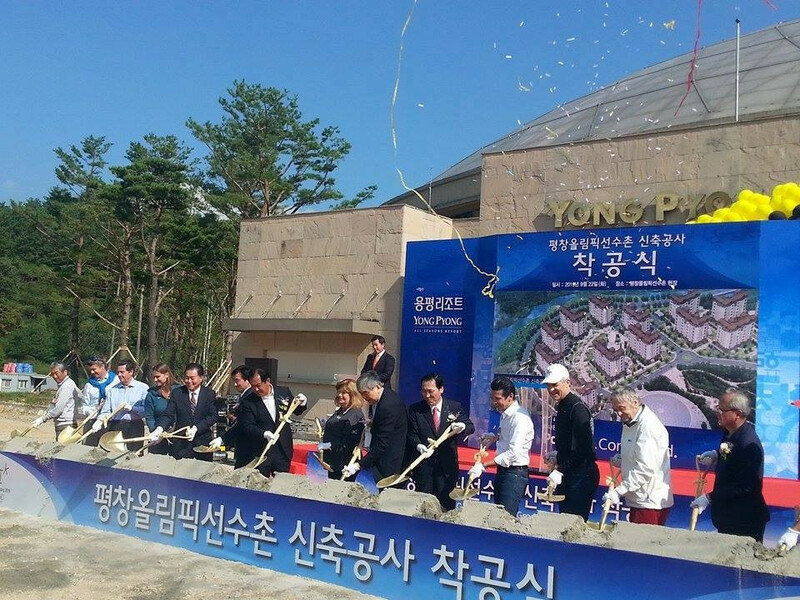 "HRH Crown Prince participates in IOC CoCom meeting on 22 and 24th September in PyeongChang, South Korea." Today and two days forward (9-11 November 2015) Crown Prince Frederik participates in the IOC Sport and Active Society Commissions meetings in Lausanne. Frederik can fly to and from Lausanne the same day as the meeting starts and ends - it only takes two hours to fly to Lausanne from Copenhagen. A BB video of Frederik presenting a colour to Caroline Wozniacki at Copenhagen Town Hall today. It was announced today that Caroline Wozniacki will be carrying the flag to the Olympics in Rio. Frederik spend a couple of hours partying with the Danish contestants. Frederik has today in a large interview in the serious and conservative paper Berlingske announced that he intends to take seven more years in IOC. I haven't got time right now to translate the many quotes, but that's the gist. There are also a number of quotes where he talks about pushing the envelope physically. Why and how. A nice interview. He talked about a little about his frogman days, the Olympics in his life, pushing himself physically. "I'm certainly open to continue. IOC has changed much for the better through the seven years I've been with. It has become more transparent and more open, "says Crown Prince Frederik in an exclusive interview with Berlingske. "I feel it is important that we in Denmark will keep the chair in the IOC, a Dane had continuously for 100 years. Denmark does not automatically have a seat." As we know Frederik will be attending the Summer Olympics, as an IOC member, he will also be attending various IOC meetings from August 2 to the 5th. "Frederik, Crown Prince of Denmark and Mary, Crown Princess of Denmark take their seats ahead ahead of the opening ceremony of the 129th International Olympic Committee session, in Rio de Janeiro on August 1, 2016, ahead of the Rio 2016 Olympic Games"
"The Crown Prince Couple have arrived in Rio de Janeiro, where they have just taken part in the opening of the IOC's general assembly. 📸 TheDanishMonarchy"
I like Mary participates with Frederik to the IOC. They are a strong team together. And always good to participate in each other's things. That must be an Olympic ties of some sort. The gentleman behind Frederik appear to be wearing the same pattern. Nice photos of the couple. Fred is wearing a green bead bracelet for some reason.